Downey, Jr.’s last two Marvel films, 2012’s “Marvel’s The Avengers” and this year’s “Iron Man 3,” rank as two of the top five grossing films of all time, collectively earning over $2.7 billion worldwide to date. “Marvel’s The Avengers 2” is being written and directed by Joss Whedon. 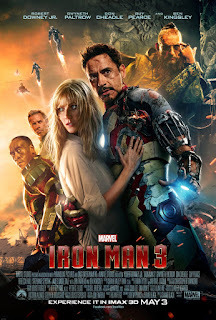 Featuring favorites from the first Avengers film and new Marvel characters never before seen on the big screen, “Marvel’s The Avengers 2” is slated to begin production in March 2014 and open in theaters May 1, 2015.